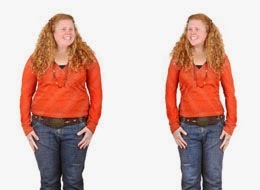 If you look up transformational stories on the web of people who've managed to lose a truckload of weight, at first you're sure to be flabbergasted. How did she lose all that weight? Where did he manage to get those rock-solid abs? And then it dawns on you―maybe these guys really worked their butts off to get where they are. It's not just hard work and dedication anymore that puts you ahead of the pack, but an ironclad-will to be able to cross the finish line as a new and improved person. Most of us lead an egregious lifestyle, where junk food and an apathetic attitude take the throne. We all want washboard abs and callipygian behinds, but the truth is, unless we really want to work for it, there's no way in hell we're going to get that kind of body. Your aim should not be to just get there physically, but to do so in a healthy manner. That means fresh, wholesome ingredients, with a diet devoid of processed food in any form. Let's move on to exercises you can do when time permits―no matter where you are―that are easy yet effectual to help you get into shape. The confabulation of having to exercise to lose weight is not an arcane piece of advice. For those of you who strength train and religiously work out, these exercises will prove to be beneficial―you'll be revving up your metabolism at several intervals during the day, giving your body a reason to shed weight faster. Cool, right? Take a look at these exercises that we think are some of the best and easiest to do indoors or out. It doesn't have to be a bench, but anything that can serve as a platform to raise you off the floor. If using one leg proves to be taxing, start off with both, before slowly learning how to depend on the strength of your arms. Your back should be rigidly straight. We suggest traversing the outdoors to find a great spot to do these exercises, like the park, beach, backyard, or even a sports stadium. A space that is secluded, tranquil, and devoid of pollution in any form, should ideally be your go-to location. These exercises can also be done at your abode whilst you cook, clean, or do the laundry. Even when you're sprawled in front of the idiot box, you can perform an exercise during the commercial break―it'll give you a couple of minutes to do an exercise per intermission. 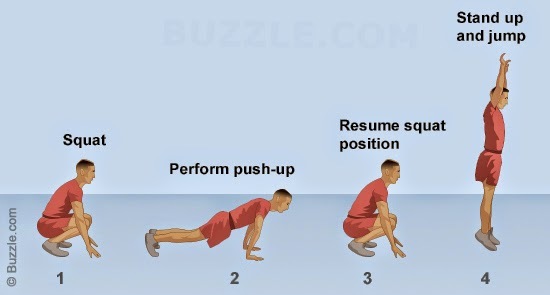 While at the office, you can definitely perform some of these exercises to give your body a mini workout post a heavy meal. We recommend keeping an exercise ball at the office to perform some nifty exercise moves when no one's looking. Take advantage of benches, staircases, or any area that can be of assistance for an exercise move. With these fat-busting exercise moves, you can be sure to notice the results in the near future. 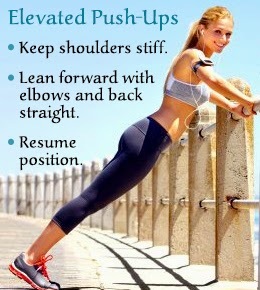 While these workouts are great, we would love it if you carried some light weights with you while exercising outdoors. It'll add definition to your body as you shed the extra pounds, where increasing the weights you carry will be a huge bonus. Things you can take with you outdoors? Dumbbells, exercise ball, resistance band, ankle weights, jump rope, yoga mat, and even kettlebells. Alternate between the aforementioned exercises to give your body a head-to-toe workout. Though we can all agree that exercising is rife with benefits which we may not see at the present, which it turn makes it necessarily cogent to make a routine out of it. Now striding to the subject of deciding a suitable time for a workout; Choosing the time is not important, although, the usual norm dictates morning being the best of all times. The important preceding factor is the preparation of the body and creating a conducive situation, reaping a good response from it. Our body clocks too are not the same, so does our metabolism which varies by trivial or high magnitudes. Some carry the flexibility of making work time adjustments, meaning in articulated context, some people have the outstanding capability of accurate time management, easing it into the regimen of activities previously architectured. People following such a pattern have no qualms or restriction of doing something at a given point in the day. Possessing the will and the natural ability to work it up in tandem with the chores and a workout is a matter of high discipline, which has to be nurtured with a cultivated effort. So, choosing the times for a workout should be solely on the basis when the body is fully active and is nourished with enough sleep. For some, it is in the mornings, while for some, it is in the night. If someone wants to exercise to burn fat, then mornings are the ideal choice. When a person exercises in the afternoon or evening, he is simply burning the calories derived by his body, from what he has eaten last. But, when he exercises on an empty stomach in the morning, he is burning calories which are stored in the body as fat. Thus, the best time to exercise to lose weight is in the morning. Our work schedule and family commitments have a lot to do with the time we choose to exercise. For most of us, evenings are reserved for families, while in the day we are busy with work. So, if afternoons, when you have your office lunch breaks, are the only time you can spare for exercising, then there is nothing wrong with that either. Research has shown that our body temperature and hormone levels are at their peak around six in the evening, so, if exercise is done three hours prior to that, it is very effective for building muscles and for endurance training. Also, exercising in the afternoon, in between work or after work, can work as a great stress buster, refreshing a person for an evening with the family. Thus, for some people, the best time of the day to exercise can be afternoons. For diabetics, exercising one or two hours after a meal is ideal, as during this time, their blood sugar levels are elevated, and thus, they have enough energy and glucose for their muscles. Another thing to keep in mind for diabetes patients is to see the effects of insulin and medication on their bodies. Usually, when their effects are at their peak, the blood sugar levels may fall. At this time, exercising is not recommended. Thus, the easiest way to determine the best time to exercise is by paying attention and listening to your body. If after exercising at a particular time of the day, you are feeling tired and miserable, instead of feeling fitter and full of energy, then it is time to change your exercising schedule, and arrive at the one which suits your body the best. The entire weight of our body falls on our ankles and feet, that help us in proper locomotion. Keeping them flexible helps in avoiding foot pain and other problems associated with ankle injury. 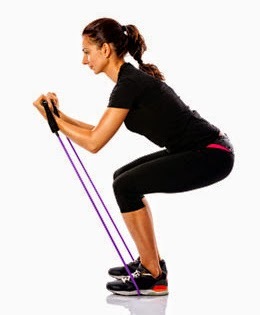 Foot and ankle exercises help maintain the agility of these parts. The exercises are mainly directed towards the muscles and bones that help in movement. Understanding the role of the joints in ankles and feet further makes the exercises much easier to perform. There are some exercises that aid in quick recovery from ankle sprain and feet injury. You shall come to know the healthy exercises from the next section. The exercises explained below, when performed regularly, help in elimination of a wide range of joint problems in those areas as well as common ailments of legs. They are useful for athletes who have to maintain consistency in motion. So check them out. Ankle pumps are of two types, namely, ankle pump ups and ankle pump down. The former is meant for strengthening the muscles that are present in the frontal region of the lower leg. While performing ankle pump ups you have to simply raise your foot up and hold on the position for 10 seconds. The same pattern is followed for ankle pump down where the foot is bent down instead of lifting up. These exercises help in dorsiflexion and plantarflexion of the muscles, when performed at least thrice a day. These exercises are also known as toe pick ups and are very easy to perform. It implies picking up things from the ground and shifting to some other place with your feet, helped by your toes. You can either pick up marbles, or objects that are cylindrical in shape, like a pencil. This simple technique helps in strengthening the toes and the feet overall. Popularly known as ballet heel raise, this exercise implies lifting the ball of the toes while supporting on the big toe. Your body's weight will be centered on the big toe and you have to gradually raise the toe to maintain an equilibrium similar to ballet dancers. Keep your hands on your waist while performing this exercise. This exercise is meant for the plantar fasciitis. Sit erect and stretch your legs completely. Now place a towel around the ball of your feet. Pull the towel towards yourself without bending your leg at your knees. The close bends of your feet helps in improving the stamina of your feet and ankles. You can perform this three or four times a day. You can perform this either by sitting on a chair, hanging your legs or sitting straight stretching your legs. First rotate the sole of the foot inward for 5-10 seconds and then rotate it outward for the same duration. This wonderful foot exercise should be performed during bed time to relieve your legs and feet from tiredness and fatigue. Lateral movements are of two types, lateral hopping and lateral stepping. This exercise is advised by doctors to people suffering from feet injury. 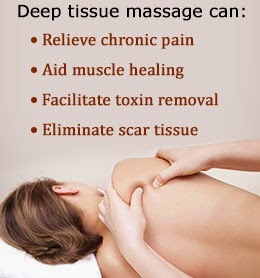 Roll a thick towel and place it beside the injured feet. Now slowly step on the towel with your injured feet and stand for a few seconds while the other feet is on ground. Now step the uninjured feet on the towel and stand for 10 seconds. You can hop in the same way if the injury is not very painful. Repeat the same movement by placing the uninjured feet on the towel first. I hope this short guide will help you overcome the minor problems associated with these parts of the body. You should always perform the rotational exercise at least once everyday to relieve tension and stress from your feet. Lose weight while you doze off on your couch. Sounds like a dream come true, doesn't it? The idea may sound ludicrous, but researchers have found that sleeping is related to weight loss. Although common weight loss tips include things like 'eat less' and 'exercise more', what people often forget is that sleeping is just as essential for the body. Adequate sleep helps in the retention of stamina and energy that serves as fuel to help you function all day. During sleep, the body performs a number of essential repair and maintenance functions. When we fail to provide the body with adequate sleep, it does not operate competently. Ideally, seven to nine hours of sleep per night is important for mental well-being. A well-rested mind is also able to choose healthy lifestyle behavior, as compared to a mind that is foggy and confused due to sleep deprivation. Unfortunately, factors like long working hours, stress, and unhealthy eating habits contribute to sleep problems. An editorial published in the Canadian Medical Association Journal pointed to a study conducted in 2010, which found that research participants who slept for 5.5 hours, lost 55 percent less body fat, and 60 percent more of their lean body mass, than those who slept for longer. This, in turn, is linked to weight gain and binge eating. To understand how sleep is important to weight loss, let us look at the science behind it. Have you ever wondered why is it that every time you are sleep-deprived, the first thing you want to do is reach for that bag of chips? This may be due to the ghrelin hormone. Also known as the 'go' hormone, ghrelin is produced in the stomach. It signals the body when it is hungry. When you are sleep-deprived, you have more ghrelin. This is the reason for the hunger pangs after the all-nighter. The increased ghrelin in the body is often in sync with leptin resistance. Released from fat cells, leptin signals the body to eat less. 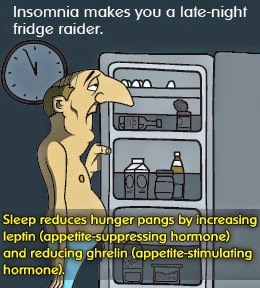 Due to sleep deprivation, leptin is unable to produce its normal effects to stimulate weight loss. The effect that sleep has on these two key hormones that play an important role in stimulating and suppressing your appetite, impacts your weight loss goals. This is aptly demonstrated in a study conducted by Stanford University and the University of Wisconsin. For the study, doctors reported the hours that 1,000 volunteers slept each night. When their levels of ghrelin and leptin was measured, and their weight was charted, doctors found that those who slept for less than eight hours a night had lower levels of leptin and higher levels of ghrelin. These people also had a higher level of body fat. The growth hormone secreted by the pituitary tract interacts with fat cells, and forces them to break down and burn stored fats. The increased metabolism helps with fat loss. Apart from exercising, sleep is also very important for maximizing the fat-burning effect of the growth hormone. This is because, while sleeping, the pituitary gland secretes more growth hormones than during waking hours. When we are stressed, the body releases a hormone known as cortisol. Secreted by the adrenal glands, cortisol helps regulate blood pressure and the body's ability to convert sugar into energy. Insufficient sleep, along with factors like over-working and chronic stress, can lead to excess cortisol in the body. Over time, the cortisol in the body can lead to increased appetite, high blood sugar, and cravings for harmful sweets. It can also lead to insulin resistance. Excessive eating due to overstimulated appetite can lead to increased fat retention. Do not eat too much before bedtime, as when and what you eat affects your sleep. Rich, spicy meals can cause sleep disruption. Instead, stick to light meals before retiring to bed. If you are unable to sleep well and are constantly gaining weight as a result, then try speaking to a sleep specialist. It is also important to understand that although it is significant, sleep is not the solution for everyone who is struggling to lose weight. Along with a good sleep, a balanced diet and regular exercise is essential for successful weight loss as well. So many nutritionists spend so much time telling us what not to eat and how terrible crash diets are, we are left wondering just what we ought to be eating. to name merely a few of the offenders on the "No-No" list. And it seems common sense to observe that someone eating red meat three times a day and avoiding fruit like the plague is not eating a balanced diet. We all know what a balanced diet isn't.So what does a healthy diet really look like? A visual illustration of just what a balanced diet looks like. Proper nutrition is dependent on your ability to introduce variety into your diet. Choose a range of foods within each food group, and on getting essentials from each group daily. Contrary to popular belief, one "bad" eating day will not wreak immediate havoc upon your body, nor even negatively affect your weight in the long run. The twenty-four hour clock is an intellectual invention; the body exists in continuity, and one "mistake" barely makes a blip on your physical radar. The United States Department of Agriculture (USDA), after extensive criticism of the food pyramind introduced in 1992, instituted new guidelines in 2005, with the sloganSteps to a Healthier You. The revised guidelines offer a healthier approach to eating, less based on rules and emphasizing moderation and activity in a lifelong journey to health. Ignore the low-carb diet hype. Carbohydrates are your body's main source of fuel, and without it, your muscles begin to atrophy - your body literally digesting itself. Instead of thinking in terms of "good" and "bad" carbs, concentrate on consuming half of your daily carbohydrates in whole grains and high-fiber foods. Almost half of your daily calories should come from carbs. Excellent sources of complex carbohydrates include starchy vegetables like peas, corn, and potatoes, and legumes like beans and lentils. The government and agricultural farmers alike have been stressing this food group for years, and for good reason. A third of your diet should consist of fruits and vegetables. Choose plenty of vibrantly colored fruits and green, leafy vegetables for the best nutrition and taste. Eat them fresh, whenever possible. Your next best options are steaming, baking or stir-frying in a little olive oil. Avoid deep frying or extensively boiling, as this robs vegetables of their nutrients and defeats the purpose of eating them! Protein is essential to the functioning of the human body, but it is easy to overindulge. So much of the stereotypical American diet consists of red meat, it leaves little room for other important sources, such as seafood, nuts and seeds, and poultry. Try to vary your protein intake, based on what you enjoy eating, and pick lean cuts of meat and fish. Bake instead of frying, like in these easy oven-fried chicken recipes. Dairy is another good source of protein, and its right to a seperate group has long been debated. If you enjoy milk, cheese, and yogurt, include these in your daily routine. If not, be sure to take in enough calcium and vitamin d through other sources, like fresh spinach. Nowadays, even the lactose intolerant can enjoy dairy with a few simple tips. People having digestion problems are often on the look out of foods that do not burden the stomach. When the body loses its ability to digest food, it is time for dietary modifications. For instance, medical conditions like gastroenteritis, demand that the person should be extremely careful when it comes to choosing foods. In such cases, having easily digestible foods can contribute immensely to mitigate digestive issues effectively. Foods that are good sources of soluble and insoluble fiber are easy to digest. Both soluble and insoluble fiber play an important role to maintain normal digestion. They facilitate movement of ingested food through the gastrointestinal tract and ensure smooth bowel movement. Green leafy vegetables are high in insoluble fiber, therefore easier to digest. These foods are rich in vitamins and minerals, and unlike high fat foods do not slow down the digestion process. These vegetables also increase the production of enzymes that help to detoxify the digestive system. So, if your digestive system has become sluggish, eating green leafy vegetables like spinach, alfalfa sprouts, zucchini and squash is recommended. Doctor often recommend to include more rice in the diet for better digestion. The contents of rice often help to stimulate the digestion process. The digestive system has to do minimal amount of work to promote breakdown of carbohydrates present in rice. Although brown rice is a healthier option, white rice is digested quickly than brown rice. The carbohydrates present in white rice are converted to sugar at a faster rate, hence white rice is digested pretty quickly. Fruits such as watermelon, cantaloupe, papaya and oranges requires very less time to get digested due to their high water content. Watermelon is considered to be the most quickly digestible food, with a digestion time of around 20 minutes. Whereas, fruits like bananas, peaches and apricots contain certain enzymes that also help promote digestion. If you are thinking what to give to a person with an upset tummy, skinless boiled chicken can be a good choice. Meal consisting of low fat chicken and cooked rice certainly won't irritate your gastrointestinal tract and burden your digestive system, as these are very easy to digest. Oats are very easy to digest as they are high in dietary fiber. People with digestion problems are often advised to include oats in their diet. Whole-grain oat foods that include oat bran and oatmeal contain both soluble and insoluble fiber that promote bowel function and support digestive health. Although, yogurt does not contain fiber, it is choc-a-block full of good bacteria that help to relieve abdominal discomfort and bloating, commonly associated with digestive disorders such as irritable bowel syndrome. The billions of 'friendly' bacteria in a cup of yogurt aid in digestion. They restrict the growth of harmful bacteria in the digestive tract, which promotes healthy digestion. The beneficial bacteria in yogurt also help to improve lactose digestion in people who are lactose intolerant. Preferably have home made fresh yogurt as it contains highest amount of active bacterial cultures. Commercial brands such as Yoplaint also contain live and active cultures, which is distinctly specified on the product label. This is another foodstuff that is considered easy for digestion. Plain crackers also have a pleasing taste and hence people do not think twice to have it in their diet. Digestive biscuits made from whole wheat flour and oatmeal are also easy on the gut and good for digestion. A light breakfast of scrambled eggs and toast is not at all difficult to digest. People who are put on a bland diet can also have boiled scrambled eggs, as they are very easy to digest. Toasts, especially for people suffering from Crohn's disease are helpful to get digestive relief. White toasts are basically bland carbohydrates that can be easily digested and ideal for an upset stomach. It is observed that the body takes less time to digest toasts than fresh bread. So having toast for breakfast, instead of fresh bread is definitely a better option. 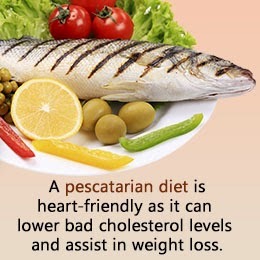 A pescatarian diet focuses on eating fish, along with a variety of vegetables. It is essentially a vegan diet, plus seafood. The diet excludes all meat products, including poultry and red meat. Turning pescatarian from a vegetarian is always beneficial, as a vegan diet lacks vitamin B12, which one can get from fish. However, are there any other advantages of becoming a pescatarian? Plenty! Here are all the benefits of turning into a pescatarian. With meat cut off from the diet, you don't have to worry about sources of unhealthy fats that carry cardiovascular risks with them. To put it simply, this type of diet is very low in saturated fats, as it does not contain pork, beef, lamb, and poultry foods. All these meat products contain too much of saturated fats, which can be detrimental to health, particularly to the heart. Saturated fats increase the triglyceride levels in the blood, a potential risk factor for artery-clogging. So, following a diet that is essentially low in saturated fats can certainly help one stay healthy. One of the most important benefits of this diet is that it provides ample amounts of omega-3s, healthy fats that slash LDL (bad) cholesterol and help maintain good cholesterol, in turn reducing the risk of heart diseases. That is why regular consumption of fish is considered to be good for the heart. Omega-3s act as a natural anti-inflammatory agent, which works to alleviate inflammation in the entire body. In fact, omega-3s could be a natural substitute for over-the-counter NSAIDs like ibuprofen. So, the pescatarian diet that essentially provides an anti-inflammatory effect can also help treat and even prevent joint inflammation associated with chronic ailments like rheumatoid arthritis and osteoarthritis. A pescatarian diet that is high in omega-3s can also assist in an endeavor to lose weight. As we know, insulin spikes cause an increase in fat storage. Omega-3s lowers insulin levels, crucial for burning those fat reserves. So, getting adequate omega-3s allows the body to easily access fat stores for energy. Thus, more fat is used everyday, which works to lose extra pounds. Although red meat such as beef are good sources of protein, protein intake from sea-food and plant-based sources is a better choice from a health standpoint. Red meat consumption has been linked to an increased risk of mortality from cancer and other diseases. So, replacing red meat with healthy sources of protein such as seafood and plant-based food would obviously be a sensible decision. This diet also benefits in regulating blood sugar levels. High intake of omega-3s has shown to make the cells more sensitive to actions of insulin. This effect of reducing insulin resistance can help achieve better control over blood sugar levels, which is particularly beneficial for diabetic patients. As fish is the primary constituent of a pescatarian diet, following it regularly may increase health risks associated with excessive mercury exposure. Mercury, a highly toxic organic compound, is present in fish due to pollution of water bodies. This compound can negatively affect the brain and the nervous system, and cause symptoms like infertility, high blood pressure, memory loss, vision problems, and tremors. The risk of mercury poisoning always exists when eating fish that contain high amounts of mercury. As such, avoid eating swordfish, shark, king mackerel, tuna, and tilefish. Instead, go for salmon, sardines, scallops, trout, shrimp, and tilapia, as they contain the lowest levels of mercury. On the whole, following a pescatarian diet is healthy, provided you have fish in moderation. 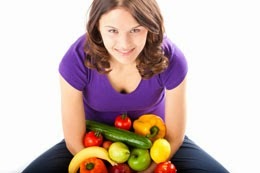 Keep in mind that vegetables are also an integral part of this diet. So just don't stick to eating fish, and include a variety of vegetables and fruits into your diet. There are no two ways about the fact that the fastest way to lose weight naturally is by exercising regularly and taking a balanced diet. Fad diets, no matter how popular they are and how many people vouch for their effectiveness, somewhere down the line, do more harm to the body than you can even imagine. Firstly, most of the weight loss programs or fad diets focus on eating a particular food group, thus you are sure to fall short of one essential nutrient or the other. Secondly, can you ever imagine yourself never eating certain foods in your entire life? No, right? So you can see, there are very dismal chances that you will follow through a fad diet for a long term. The result? Gaining back whatever weight you have lost through it! As you must have gauged by now, exercising and eating right is the only healthy and fast way to lose weight. 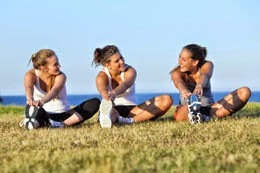 Scroll down to know in detail what does exercising and eating right to lose weight constitutes. The first tip is to build your focus. You should be very clear of your goal, which in this case is healthy weight loss. Only once you are mentally prepared to go the whole hog to lose weight, can you actually achieve it. So for once, make up your mind that you would not abuse your body in any way by overeating. Instead, you would shape it up in the most desirable manner, by controlling your diet and increasing your physical activities. The first thing that you should do is to avoid foods that are known to add layers of fat on your body. So from now on, say bye bye to high sugar foods like cakes, pastries and candies, all processed foods, fried and oily foods such as potato fries, and all fast foods including pizzas and burgers! Carbonated drinks and alcohol do nothing but add empty calories to your body, so limit their consumption too and if you can, totally give them up! Eat fruits and vegetables. They are low in calories and contain the essential nutrients needed by the body to stay healthy. Include fiber rich fruits and vegetables in your daily diet. Fiber keeps the body full for a much longer time compared to other foods and thus, in a way, reduces the overall food consumption. The protein rich foods too have the same effect on the body. Prepare your meal plans in such a way that you get the right amount of carbohydrates, proteins, fats, fiber, proteins and vitamins everyday, in order to lose weight naturally and fast. Read any number of health magazines and you will find them all agreeing on one thing and that is - the best way to lose weight naturally is by exercising every day! Cardiovascular exercises such as aerobics, swimming, running, cycling and dancing, are recommended everyday for a minimum of thirty minutes. These should be complemented with weight training, floor exercises and resistance training, targeted at particular body parts. Arms, legs, back, hips, chest area, abdomen, neck, shoulders and feet - all should be exercised thoroughly. Initially, it would do you good if you join a gym and have an exercise program designed by a professional, especially for you. Follow this program to the core and be consistent, if you are really serious about your weight loss goal. An age-old effective home remedy for weight loss is to drink a glass of warm water in which juice of half a lemon and a teaspoon of honey have been added. This drink should be taken first thing in the morning, as it aids in digestion and the removal of toxins from the body which can otherwise accumulate as fats. Follow this home remedy religiously and very soon, you will see its positive results. Besides the ones mentioned above, drinking two to three liters of water everyday aids in quick weight loss. It will speed up your metabolism, help in better digestion of food, aid in tidying over your hunger pangs, plus will make your skin glow! Losing weight is not as difficult as it is made out to be, provided you have the will power to carry out your plans. Follow the above mentioned tips, be consistent in your efforts, reward yourself by doing things that you like every time you lose a kilo - if you are able to do this, soon you will be fit, fine and fabulous! Weight gain can occur because of a number of reasons, the most important ones being, leading a sedentary lifestyle and eating high calorie, fatty foods. If you want to lose weight, you have to change these things, i.e. you have to take a healthy, balanced diet and increase your physical activities. The best part is, this you can do, right at your home! And you don't need any crash diets for losing weight! The following article will guide you on the ways to reduce weight naturally at home.. This is very important. If you make half-hearted efforts to lose weight, you are never really going to succeed. So develop a strong determination, that this is what you want and you will do anything it takes to achieve your goal. There are certain foods which are very high in calories and devoid of any vitamins or nutrients. Fast foods such as pizzas, burgers, high sugar foods like cakes, pastries and cookies, aerated drinks, alcoholic drinks, processed foods, all fall under this category. These foods should be avoided, if you are serious about your weight loss goals. The fat that gets deposited in our body is nothing but the excess calorie that we take in everyday. Suppose we take 2000 calories in a day and burn only 1500 calories, the excess calories get deposited in our body for contingencies. 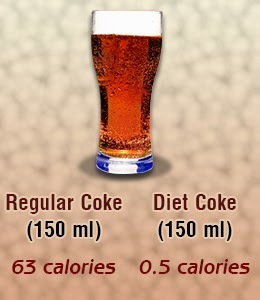 Keep a check on your calorie intake and burn more calories than you consume. Include lots of fiber rich foods in your diet. Fiber foods keep the body full for a very long time. This means that if you eat them in a meal, you will tend to eat less in your next meal. 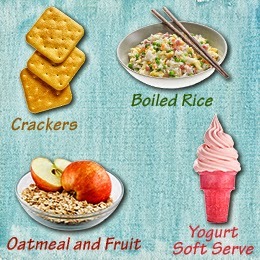 Moreover, fiber foods aid in removal of wastes from the body, which otherwise accumulate as fats. Thus, one of the best ways to lose weight is to eat high fiber foods such as beans, strawberries, oranges, prunes, peas, spinach, cabbage, carrots, apples, bananas, broccoli and sweet corn, amongst others. Drink a gallon of water everyday. Water aids in digestion, removes wastes from the body, is known to suppress hunger pangs and keeps all the important organs of the body, including the liver, well-functional. Drink warm water, instead of water at room temperature, throughout the day. This is known to keep accumulation of wastes and fats in the body, in check. Starving or crash diets are not going to take you anywhere as far as your weight loss goals are concerned. What's more important is that you take a balanced diet. A diet which supplies you with the right amount of vitamins, nutrients, calcium, carbohydrates, iron, proteins, fiber and fats. Yes! 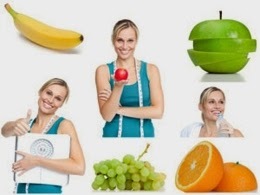 All these are essential if you want to lose weight in a healthy manner. Lots of weight loss diets recommend that carbohydrates should be given up. However, this is something that you should never do. The carbohydrate requirements of the body should be met with complex carbohydrates such as those found in brown rice, brown bread, cereals, lentils and beans. The proteins should come from healthy foods such as eggs, fish and lean meats. Red meats should be given up. One important tip for losing weight naturally is to exercise everyday. Cardiovascular exercises such as aerobics, swimming, jogging and cycling should be done everyday as they help in losing weight from all over the body. These should be combined with exercises aimed at a particular body part, which strengthen and tone up muscles of a specific body area. Weight training, flexibility exercises and resistance training should be a part of your exercise regimen. However, these should be undertaken only under the guidance and supervision of a trained professional. So, if you can afford, hire a trainer who would come and teach you effective weight loss exercises. Otherwise, get some exercise videos from the market and undertake exercises at home, watching them. Take five small meals in a day, instead of three. Have a heavy breakfast. Cereals, eggs, low-fat milk and fruits should be taken in breakfast. Have a light dinner, two to three hours before sleeping. This will aid in digestion. Eat steamed food with least oil and prefer to have broiled or roasted meat over fried one. Negative calorie foods like tomato and cucumber help a lot as the calories required to burn them are more than the calories that they provide. Salt intake results in weight gain and should be reduced. Cabbage hinders the formation of fat from carbs and hence it should be included in the diet. Two-thirds of your diet should be made of fruits and vegetables. They are full of vitamins and minerals and are very less in calories. Keep stress at bay. Undertake meditation and breathing exercises at home. Sleep for seven to eight hours every night. This will ensure that you do not resort to emotional eating. If you follow these tips, very soon, you will see yourself inching towards your weight loss goals. A healthy diet, regular exercise regime and a strong will power - that's the lethal combination required to lose weight. 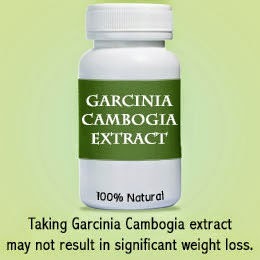 Garcinia cambogia extract is the latest weight loss supplement to hit the US market. Made from the sausage-shaped fruit of the tamarind tree, the supplement is touted to be an effective way to lose weight. Sold under various brand names, it allegedly targets fat to produce weight loss results. Does garcinia cambogia extract work for weight loss? Is the supplement just a hype to garner attention or a breakthrough treatment for weight loss? The extract is said to curb appetite and reduce hunger, which works to decrease daily calorie intake. Another important ingredient found in this extract is hydroxycitric acid (HCA), which is thought to impart a weight reducing effect. The extract is also said to suppress the action of citrate lyase, an enzyme that is known to turn carbohydrates into fat and sugar. Blocking this enzyme actually promotes the reduction of fat. Research findings from animal studies have been encouraging and clearly indicate that garcinia cambogia extract may produce substantial weight loss. Studies conducted on rats indicate that the herbal extract could be beneficial in losing weight significantly. The studies suggest that the extract does act as a citrate lyase inhibitor (the enzyme which helps in the formation of fat cells). In some studies, there was an increase in serotonin synthesis, the brain chemical that controls appetite. Increase in serotonin puts a stop on cravings and reduces appetite. When the extract was tested in clinical trials, one would have expected to see the same effect as observed in animal studies. However, the results of the studies conducted on human subjects were contradicting to the outcome noticed in animal studies. Although the studies on rats seem to prove the efficacy of garcinia cambogia, the contradictory findings observed in clinical trials puts a question on its use as a weight loss aid. A study that was carried out for a period of 12 weeks and involved the participation of 135 individuals showed that garcinia cambogia extract was least effective in treating weight loss issues. In the study published in the Journal of the American Medical Association, subjects were divided into 2 groups. One group was put on a total dose of 3 g of garcinia cambogia extract, while the other group was given placebo treatment. The 3 g/day dose was divided into 3 doses, and taken 3 times a day before meals. Individuals in each group were advised to follow a high-fiber low-calorie diet during the study. After the 12 week period, a loss of 7 pounds was noticed in the treatment group. On the other hand, adults in the placebo group were lighter by around 9 pounds. However, those taking the extract showed a body fat percentage (BFP) loss of around 1.6%, whereas, in the placebo group, there was a decrease of 2.6%. Comparing the results of body fat percentage and weight loss in both the groups, it was observed that the difference is small and could be ignored. In short, the final outcome of weight loss associated with garcinia cambogia is imperceptible, and cannot be considered as significant. According to a 2004 systematic review reported in the American Journal of Clinical Nutrition that evaluated the results of meta-analyses and clinical trials conducted to test the efficacy of weight loss supplements (that included garcinia cambogia) at the University of Exeter and Plymouth, not even a single supplement was able to produce any weight loss effects. In 2011, the Journal of Obesity reviewed data on 12 clinical trials conducted to examine the impact of garcinia cambogia as far as losing weight is concerned. The review pointed out to a mere 2 pound decrease in weight when the supplement was taken for several weeks. Other studies that were conducted also showed that weight loss was insignificant, despite taking the extract for several weeks. In another study, subjects neither experienced any change in appetite nor in weight loss. On the whole, there have been several studies that focused on the effectiveness of garcinia cambogia, but none of the findings were found to be consistent and conclusive. In most cases, weight loss results were small with hardly any clinical significance. Weight loss from this extract is a short-term side effect, and moreover, the magnitude of weight loss is negligible, despite taking it for an extended duration. Although studies indicate it to be least effective, quite a few customer reviews have been positive. From the reviews, it appears that the supplement is a good product that requires you to follow no special diet or any rigorous exercise routine. The herbal extract is found to be safe, and as such there are no reports of any serious side effects. So, you can always give it a try, and who knows, it may work for you. Are you finding it difficult to fit into your little black dress? Or can you no longer wear your favorite skinny jeans? A glimpse in the mirror and you will see that you have gained noticeable weight. You must be looking for some quick weight loss plans and programs. There are several fad diet plans available that advocate rapid weight loss. However rather than going for these unnatural means, why not go for healthy ways to lose weight? There are various tricks that will help in losing weight fast and easy. One of the most important thing to note is that diet and exercise, both play an important role in weight gain and weight loss. Therefore, dieting and undertaking rigorous exercise top the list of rapid weight loss tips and tricks. Following a diet does not necessarily mean starving yourself. You can have proper and wholesome meals; but you need to keep a watch on your calorie intake. Your daily quota of calories should never exceed. Remember, following a weight loss diet is only about making healthy food choices. Have a glass of water before every meal as it helps in suppressing appetite and boosts metabolism. You should have 7-8 glasses of water every day. Substitute all high calorie foods with low-calorie and low-fat versions. This will drastically reduce your intake of calories. Avoid sugar, desserts, chocolates, high sodium containing and salty foods. Fish, lean meat, fruits, vegetables, nuts, seeds, whole grain products are some of the healthy options of foods to be included in the weight loss diet. When eating out, opt for salads, wheat sandwiches or pasta; a high vegetable, no cheese, thin crust pizza; and no cheese lean meat hamburger rather than the other high calorie varieties. One of the other rapid weight loss techniques is that you should eat cut vegetables like carrots, cucumber, raw fruits, etc., as they make great snacks rather than going for fries and biscuits. Sugar free cereal bars are also best snacks that can be eaten when outside or at home. Eat smaller meals in between intervals of 2-3 hours. Having small helpings also helps in reducing high calorie intake. Do not buy canned fruit juices as they contain excess calories and sugar. You can make your own fresh fruit juice at home without adding sugar. Do not eat in front of TV, computer, while reading, etc., as it will divert your mind from the amount of food you eat. Instead concentrate on your food while eating. Lastly, for a rapid weight loss, remember this tip. When eating out, take smaller helpings of food and go for only 1-2 varieties of dishes, rather than trying different types of food. Exercising regularly does not mean hitting the gym and working out day after day. Although that may help in losing fat quickly; it is not always possible. There are several other exercises that can be carried out at home in order to lose weight. Exercise is a must when you are on a weight loss plan. If you have never exercised before, you can start with walking, jogging or simply walking your dog or mowing the lawn. There are several easy exercises to lose weight like stepping exercise, stair climbing, aerobics, etc., which you can perform at home. You can also go for rigorous exercises like weight training, muscle building, crunches, squats, power yoga, etc., to burn fat. It is advisable to undertake some sort of physical activity every day like dancing, not using elevators, running on the treadmill, walking to shorter destination, etc. The key is to be active every day. If you wish to try weight training and muscle building, do it only under the supervision of a trainer. Lastly, one of the most important rapid weight loss tips is to have a good night's sleep (for 6-7 hours) as it is essential in order to lose weight and to have a healthy body. Follow these rapid weight loss tricks and you will lose weight fast without any side effects. Lastly, in order to be successful in your plan, motivate yourself by rewarding yourself after every pound/ inch lost. This will definitely help to boost your confidence. Good luck! Fiber is primarily found in the outer layers of plants and is almost an indigestible substance. It is a peculiar type of carbohydrate which passes through our digestive system without being broken down into absorbable nutrients. It is an important element in the digestion process as it has an impact on this process from the start to the end. Including it in your diet is beneficial to your health. Consuming soluble fiber protects you from developing any heart disease, as it reduces the cholesterol levels. Consuming insoluble fiber helps to reduce the risk of developing problems like constipation, colitis, colon cancer, or hemorrhoids. Diabetic people who consume a lot of fiber require less insulin than those whose fiber intake is low. Your body weight is significantly controlled with high fiber intake. Fiber slows down the movement of food through the intestines, thereby creating a feeling of fullness. They give you a fuller feeling without adding calories, as the calories in such foods are not absorbed by the body. It is believed that a perfect diet must contain approximately 25 to 30 grams of fiber. Here is a list of high fiber foods that should be included in the diet. A diet rich in fiber helps one to lose weight as it reduces the calorie intake while consuming normal amount of food. They ensure that you don't get hungry and tempted to eat foods which are not a part of your diet. It takes a long time to be chewed properly, this makes them feel as if they have eaten a substantial meal. Intake of such foods make a positive contribution towards your health by aiding the food to move expeditiously through your body. During the first few days of your diet, you might experience cramps or bloating problems. Don't worry, slowly make the changes in your diet and have enough fluids while you increase the amount of fiber intake. Liquids help in the digestion process. Remember, water is the best drink to be consumed. Also, many of these foods are nutritious. Most of the fruits and vegetables contain minerals and vitamins required for a healthy body.